Want to do something that will last forever? Join SWAT – “Summer Workers at Timberline.” You’ll grow, you’ll laugh, you’ll cry, and you’ll be part of a ministry that is close to the heart of God. You will make an eternal difference! For more information, email Dobson Reid, our Program Manager, or phone him at 604-463-9278, extension 22. How many reasons do you need? Do it for God, for the kids, for yourself, for an amazing experience! 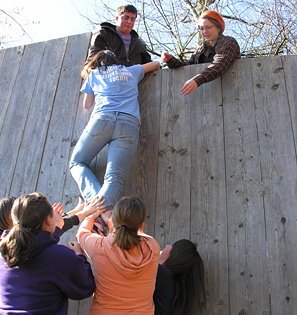 Timberline’s SWAT Team training camp is offered once each year for those accepted through the application process. The 2018 training is on June 22-27. The training begins at 7:00 p.m. on the Friday evening and ends at 10:00 p.m. on the Wednesday. The rest of the summer staff will be included from Saturday to Monday, so you’ll get to know them as well. To apply, please complete the Staff Application Form, two Reference forms (filled in by an associate), and one Reference form (filled in by a pastor), and send them to us. Please note that SWAT Team applications are due by February 28. Applications received after this date will only be considered if the needs of the Ranch cannot be fulfilled by the applications on hand by February 28.